What is contemporary art? What makes it contemporary? What is it for? And why is it so expensive? From museums and the art market to biennales and the next big thing, Who’s Afraid of Contemporary Art? offers concise and pointed insights into today’s art scene, decoding “artspeak,” explaining what curators do, demystifying conceptual art, exploring emerging art markets, and more. In this easy-to-navigate A to Z guide, the authors’ playful explanations draw on key artworks, artists, and events from around the globe, including how the lights going on and off won the Turner Prize, what makes the likes of Marina Abramovic and Ai Weiwei such great artists, and why Kanye West would trade his Grammys to be one. 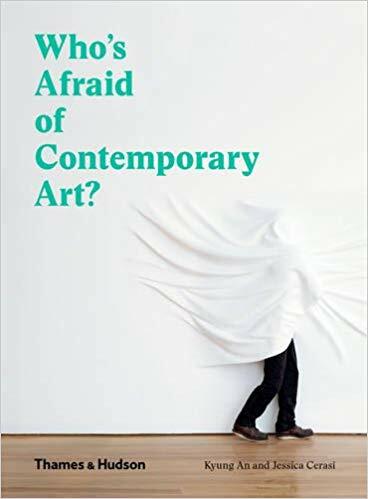 Packed with behind-the-scenes information and completely free of jargon, Who’s Afraid of Contemporary Art? is the perfect gallery companion and the go-to guide for when the next big thing leaves you stumped.